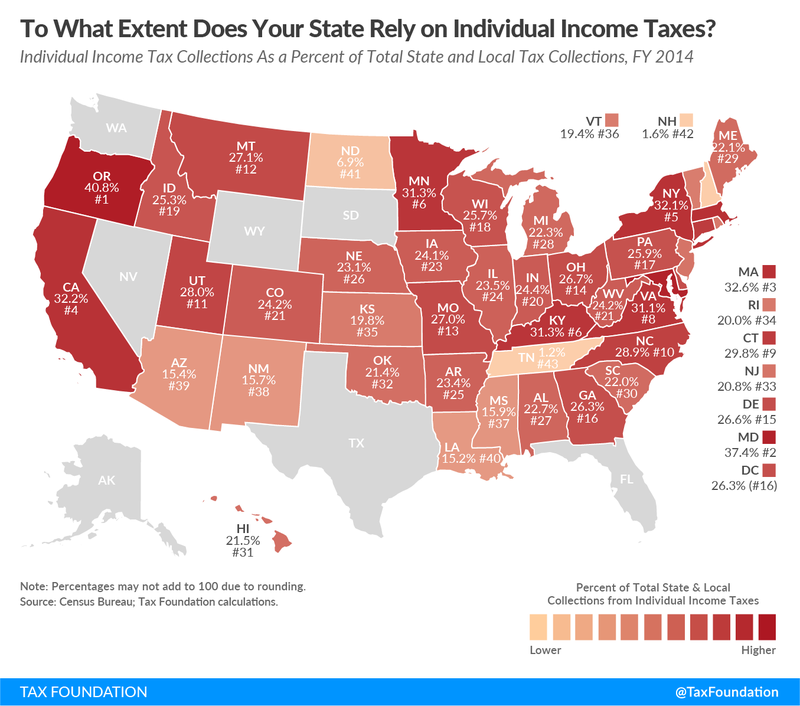 Individual income taxes are a major source of state and local government tax revenue, accounting for 22.9 percent of collections, the third largest category. Forty-one states tax wage and salary income, while two states – New Hampshire and Tennessee – exclusively tax dividend and interest income. (Tennessee is currently phasing this tax out and will not levy any income tax by 2022.) Seven states levy no individual income tax at all. Of the forty-one states that levy a traditional individual income tax, North Dakota relies the least heavily on its income tax, at 6.9 percent. The top marginal tax rate maxes out at 2.9 percent in the state. Its revenue is also bolstered by strong severance tax collections, which reduces the share of revenue that comes from individual income taxes. Louisiana follows North Dakota, relying on income taxes for 15.2 percent of its state and local revenue. Oregon relies most heavily on the individual income tax, with 40.8 percent of its state and local revenue deriving from the tax. Oregon does not levy a general sales tax. Coming in second, Maryland generates 37.4 percent of its revenue from the income tax. Only seventeen states also levy a local income tax, with effective rates ranging from 1.47 to 0.01 percent. Maryland has the highest effective local income tax rate at 1.47 percent. 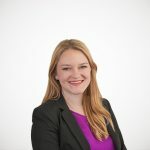 Local income taxes can quickly increase the total tax rate for both individual income taxpayers and businesses that file through the individual income tax code.